Here in the PNW sunny days are few and far between. When the sun does come out the best thing to do is get into your car are drive somewhere with a gorgeous view. Bainbridge Island is one of those places. Just a ferry ride from Seattle, the island is quaint, picturesque, and laid back. There are a couple of places I like to hit when I visit. 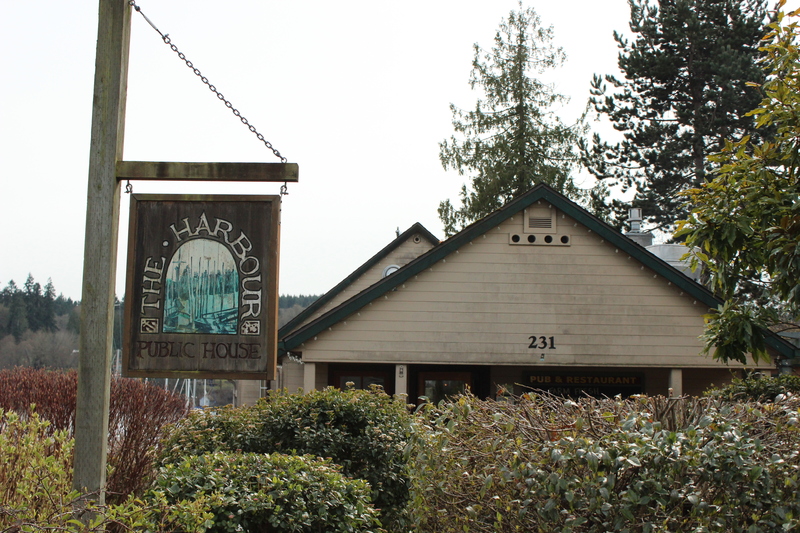 For lunch, I usually stroll into The Harbour Public House. Just steps from the village this hip public house serves delicious, organic cuisine and some of the freshest craft beers on the island. 12 on tap and 1 on cask to be exact! You won’t find Coors or Bud Light in here. You also won’t find children. The Harbour is 21 and over. 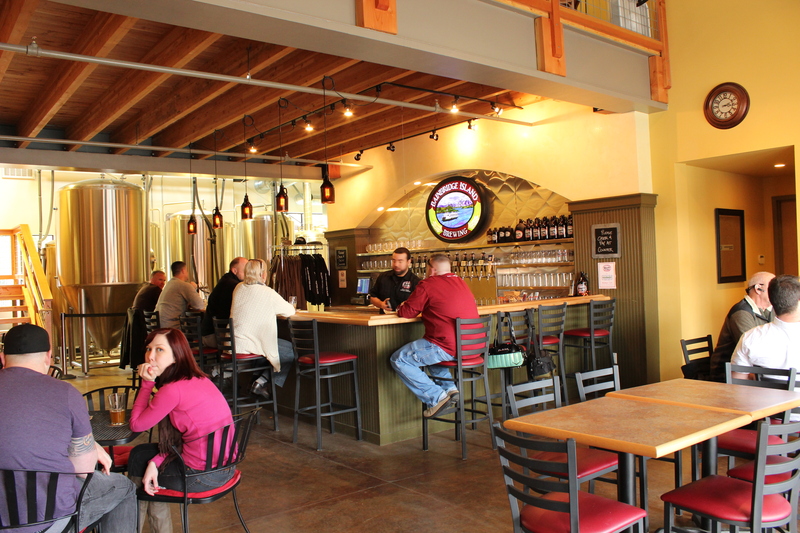 Another “must” is the Bainbridge Brewing Co. Just off the beaten path, the brewing company captures the laid back spirit of the island. The tap-room is pretty, open, and welcoming. The beer? Well, it’s pretty darn tasty! Kommenter Kolsch (4.8% ABV) – Golden Grahams aroma. Sweet, crisp, effervescent. Lightly malted. Sweet finish. Northwest Pale Ale (5.4% ABV) – Malty. Very nicely hopped. Smooth, caramel notes throughout. Very easy to drink. Eagle Harbor IPA (6.0% ABV) – Hoppy aroma, soft citrus. Tart grapefruit finish. Only 60 IBU’s so very easy IPA to drink. Puget Sound Giant Hoptopus IPA (8.8% ABV) – Hop/floral aroma. Sweet and malty for an IPA. Lovely grapefruit finish. Another IPA for the IPA fearful! Battle Point Stout (6.6% ABV) – Smokey aroma. Rich, malty, dark chocolate bitterness. Smokey finish. Definitely a sipper. Bainbridge Island is a great place for a day trip. To get there from the peninsula you can cross the Agate Pass Bridge just outside of Poulsbo. From Seattle you can hop on the ferry. And you don’t need to wait for a sunny day to enjoy it, because let’s face it…it’s the PNW! Just discovered your cool blog via the Bainbridge Brewing Facebook page. I live on the Island and am about as big a breweryphile as you, it sounds like. Naturally, when B.I. Brewing opened I was screaming it’s ABOUT TIME somebody finally opened up a brewery here. The “Pub” is pretty cool too, though I don’t eat meat and they are heavy on the meat (and expensive on all food). Their beer selection is by far the best on the island. The trick is to go at certain times unless you enjoy crowds and waiting. Their service – especially from one particular waitress who has worked there forever – is not great. Anyway, I’ll follow your blog. Check my blog out. It’s about my adventures by bicycle to beer places around Seattle.